The start of a series on writing. Although I’ve drafted 15 scenes, some 12K words, for the sequel Shift Tense, I’m currently taking a cue from my other vocation and hammering out a coherent outline for the entire story. You see, I went about my first novel all wrong: like a wagon wheel-sized movie reel spinning out of control, the story was coming out, scenes, dialogue, ideas piling up, slithering all around me as I drafted, created, edited, re-wrote, re-edited with only the vaguest notion of the end product. I spent two years scrambling to catch everything, do everything, all at once. I was making it up as I went along. It was frustrating and inefficient. Now I know there are writers who insist they have no idea how their novels are going to turn out, Stephen King being one of them. Given his sales numbers, what do I know? But I’m convinced I need a system. Not a formula, mind you; a system to catch and organize all the raw material. If I can sort it intelligently with a consistent notion of where it fits, I can lay out the entire plot, then go back and polish it later. And, even better, I can recognize elements that might be poignant or cool, but don’t actually fit. They’re shelved for another story. The stained glass pattern sets all the design elements in place, not to mention the boundaries. After all, if I’m making a specific panel for a client, it has to fit in their window (or cabinet, or sidelight…) when finished. The specific colors and textures aren’t there yet, but I can get a sense of balance and proportion. I can determine if it’s going to work, and change things before too much time and material is spent. So raise your coffee cups in a toast to the Learning Curve. 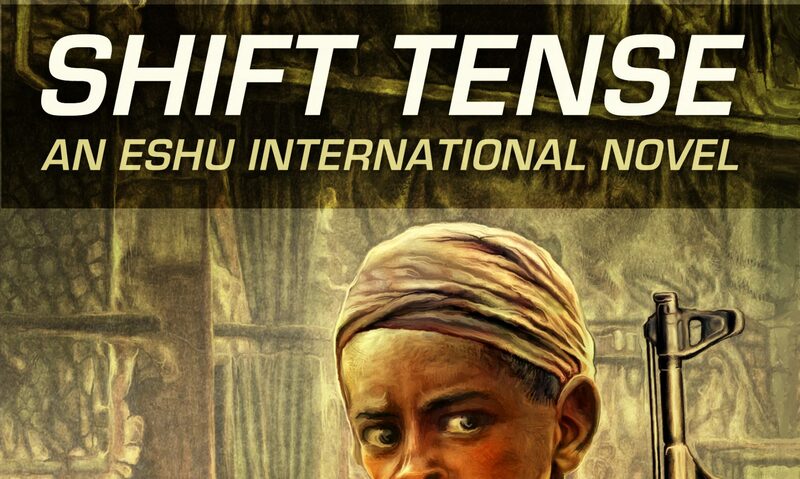 Here’s hoping Shift Tense is as inspired and dynamic as Running Black, but finished faster without too many brain cramps, snapped pencils and muttered curses. We have confidence in you! Next PostNext Solid Sci Fi series.